Why Choose HD Video Converter Factory Pro? We are continuing to update and comfort our users with mature technology. We consider HD Video Converter Factory Pro to be easy to navigate for all levels. Our team-dedicated of professionals with very quick response! This HD conversion software supports the newest encoder H265(HEVC), VP9 and other h-video formats. It converts Multi-track HD video M2TS, MKV, AVCHD, HDTV BDAV and MPEG-TS, HD-camcorder video and more to 300+ video and audio codecs. HD Video Converter Factory Pro is equipped with advanced High-Definition (HD) video conversion technology. It works the best on converting videos from Standard-Definition (SD) to High-Definition (HD) like HD MP4, HD MKV, HD AVI, HD MTS, HD TRP, even 4k standard. Support up to 300 hot devices! With the unique encoding technology, HD Video Converter Factory Pro is always ready for your 4K, H265 and VP9 video conversion, whether you hope to convert your source video of 4K, H265, or VP9 to the file saved in any other format like AVI, WMV, MOV or make 4k/H265/VP9 a target video format. This HD video converter enables you to get the output file in a smaller size while keeping the original high definition. Smart Fit & Optimized for retina display. Converted videos will just get better. Make them higher-quality. The HD video convertor will intelligently repair time axis damage with format conversion. It helps you convert batch of videos simultaneously. You can add up to 10 videos at once. Easily fix “your video can’t be uploaded” error with the HD videos converter. Get to know the best YouTube video specs for uploading. 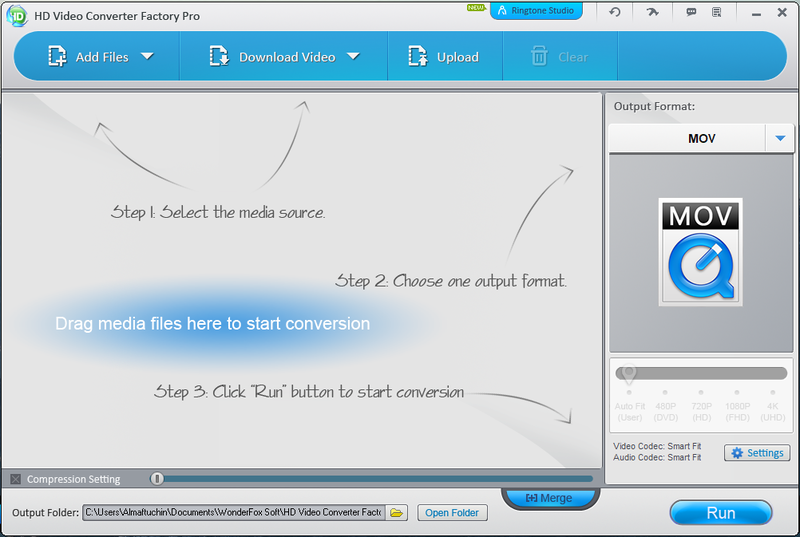 Converter License Video Converter Video Editor WonderFox Soft Inc.